What are the best essential oils to combat wrinkles and aging skin? If you enjoy including essential oils in DIY recipes, you’ll be happy to learn that one of the best places to use them is in making lotions to combat wrinkles and signs of aging skin. 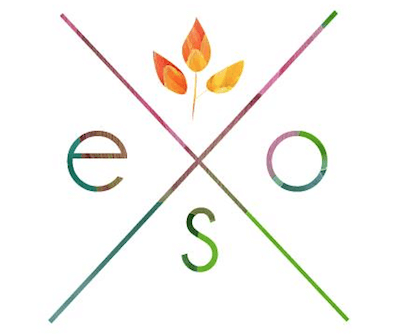 Department store, dermatologist, and even drugstore creams and lotions are so costly today, and what you want and need from these products is what you get from essential oils: natural and effective ways to combat fine lines, wrinkles, age spots, and loss of elasticity. Here is everything you need to know about using essential oils to make your skin look and feel younger, including nine recipes you can make in your kitchen. What causes your Skin to age prematurely? You probably know that your skin is your body’s largest organ, but did you know it makes up more than 15 percent of your total body weight? Your skin is a barrier to heat and cold and physically protects your body from the environment, and it is also a significant element of your immune system. There are many beneficial bacteria living on the surface of your skin that keep less welcome microbes in check. Hormones also influence skin aging for women. For some, hormonal changes that signal increased dryness or problem skin can start as early as 30 years old. 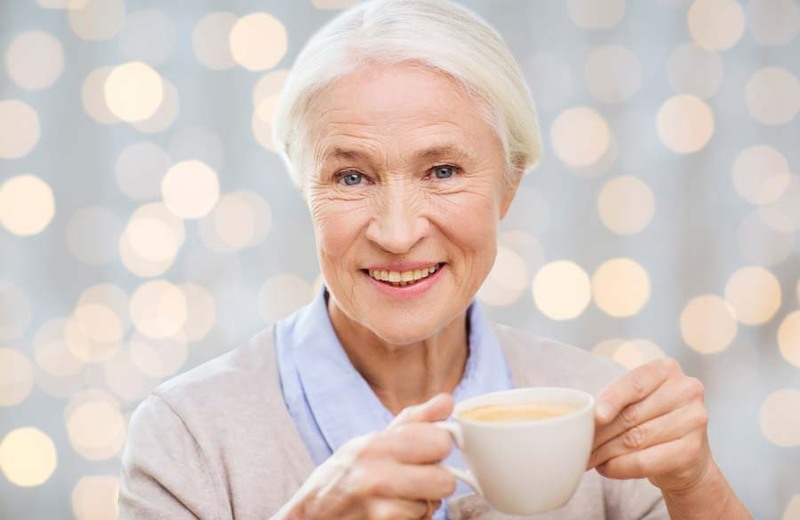 Some women in perimenopause and menopause experience are frustrating combination skin, where most of the skin is thinner and more in need of moisture, while a few areas are oily or even experience acne breakouts like the teen years. The chemical changes with aging cause skin to lose collagen and elastin, which are responsible for keeping the skin firm. Cellular renewal rates drop too, as does circulation. Oil-producing glands decrease in size and output, and the body makes fewer ceramides, natural lipids that provide moisture for the skin. Add gravity to the mix, and your skin can start to reflect your age! Fortunately, essential oils not only help replace lost moisture, but they also help the skin repair itself too. 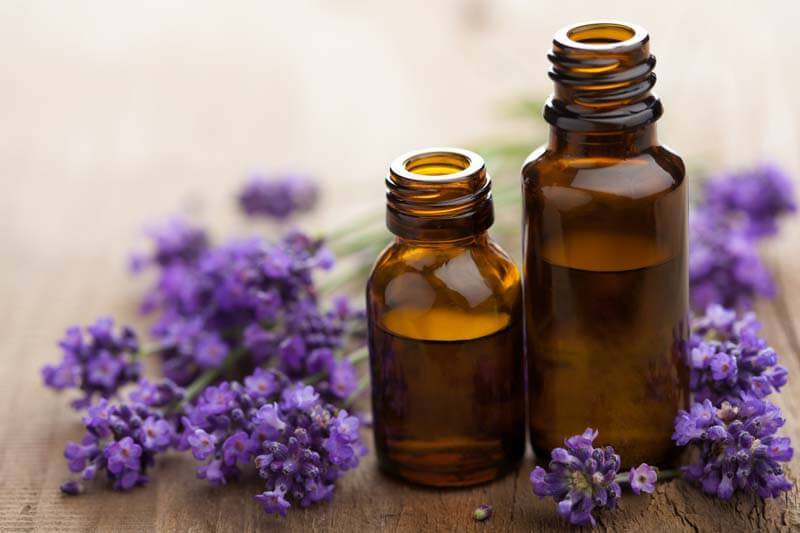 Essential oils can slow down the aging process and even reverse some of the signs of normal and premature aging by increasing collagen production and speeding up cellular renewal. Below are the top 12 oils for supporting healthy skin and allowing the surface to age slowly and gracefully. These oils work well as stand-alone treatments (ideally with a carrier oil), but work best in concert with each other. You will see how to combine them effectively in the recipe section that follows. Geranium essential oil has been used for thousands of years to benefit the skin. 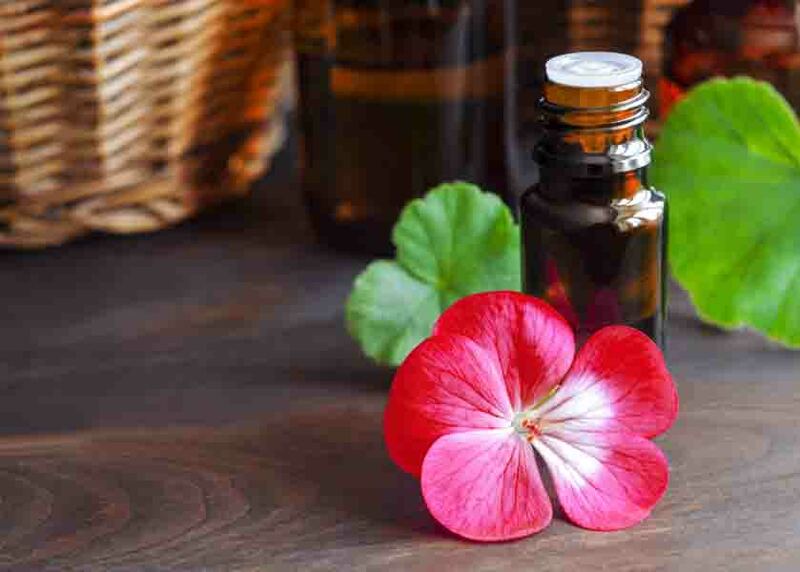 An excellent choice for all skin types, geranium essential oil increases new cell growth, improves circulation and helps protect existing skin cells. As a humectant, geranium essential oil pulls moisture from the body to the skin’s surface and holds it there. Many users love geranium essential oil to combat sagging in the eye area. 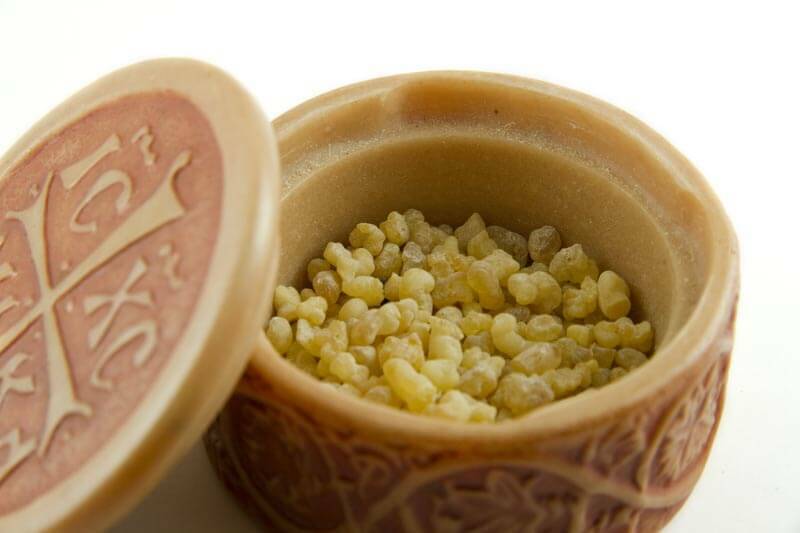 Frankincense essential oil also promotes new skin cell growth, so it is ideal for healing and anti-aging purposes. 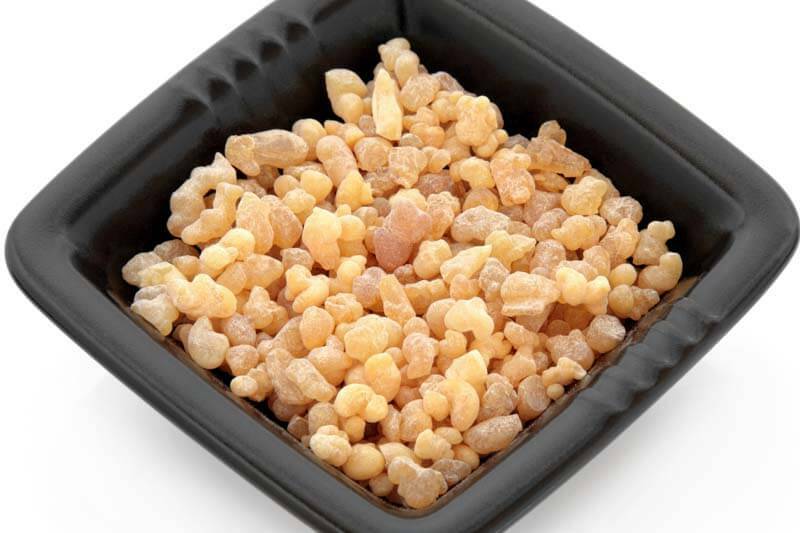 If you want to minimize scars or treat eczema, frankincense essential oil is a must for you. Frankincense essential oil is a good ingredient in basic moisturizers because it also acts as a protective agent for the skin. 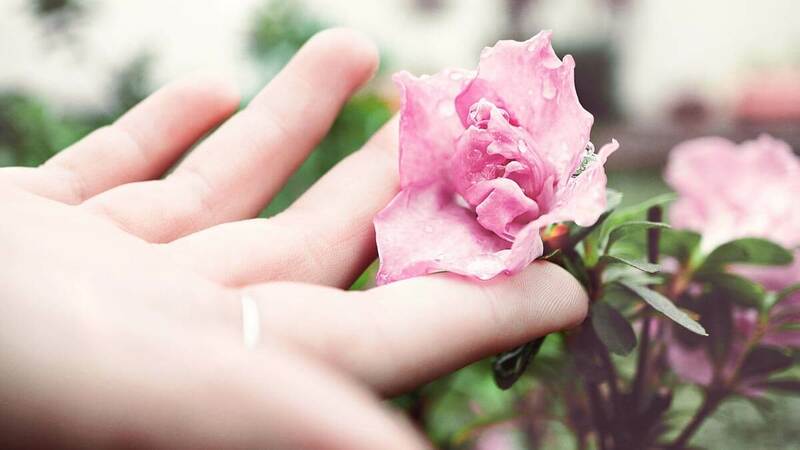 Rose essential oil is another long-used anti-aging treatment, offering dewy moisturizing and firming of the skin. 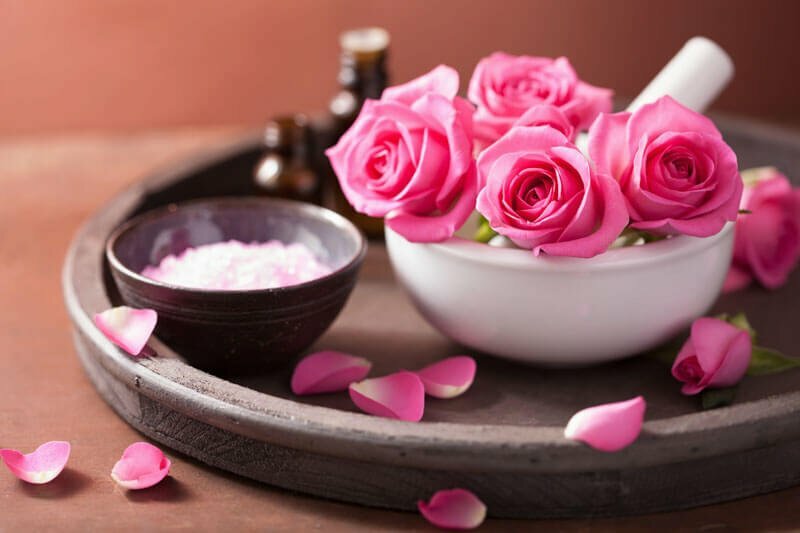 Rose essential oil is particularly useful for encouraging skin cell membrane renewal, and it’s an overall ideal skin rejuvenator to decrease the appearance and feel of fine lines and wrinkles on both the face and the body. 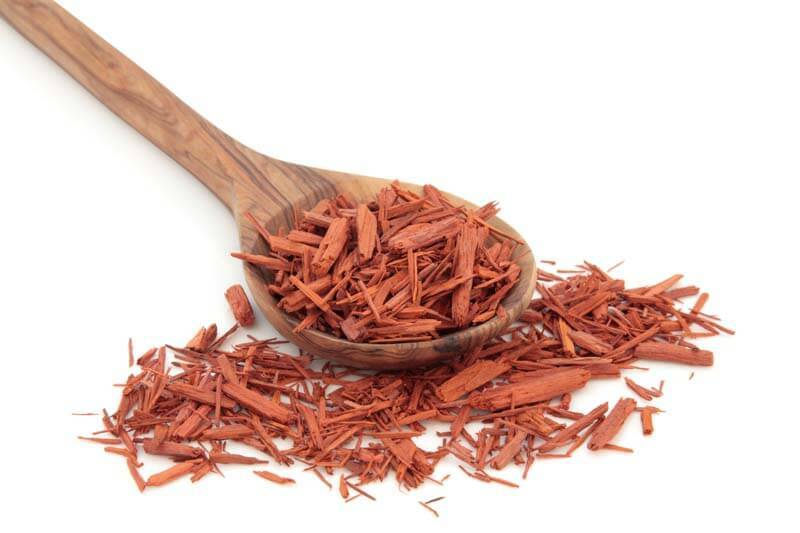 Sandalwood is another essential oil that has been used for centuries in traditional beauty treatments for the skin. High in sesquiterpene (a growth hormone secreted by the pituitary and hypothalamus glands, which helps skin cells renew themselves and recover from damage), sandalwood essential oil can make skin look and feel smoother, and it is one of the best essential oils to use around the eyes. Its exotic but woody aroma makes it perfect for unisex treatments. High in vitamin C, lemon essential oil is a natural antioxidant, a substance that helps the body remove free radicals that damage all cells, including those of the skin. The citral in lemon oil is also present in other citrus-based essential oils, such as orange and neroli, the latter being an alternative to lemon if you find it too strong for you, especially in the eye area. 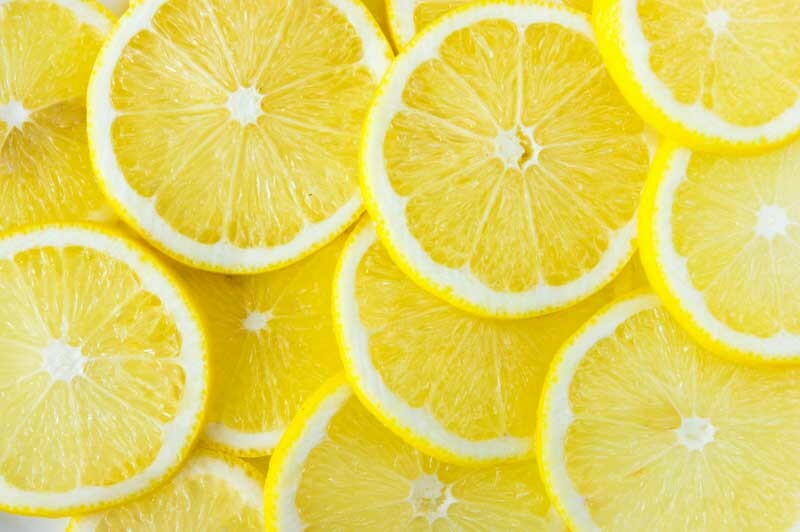 Lemon is a high-power essential oil and a great primary ingredient for many skin care recipes. It can help brighten the skin after sun exposure and reduce the appearance of wrinkles on the body. In addition to being antibacterial and antiseptic (a boon for late-in-life acne sufferers), clary sage essential oil tightens pores, thereby improving the look and texture of the skin. 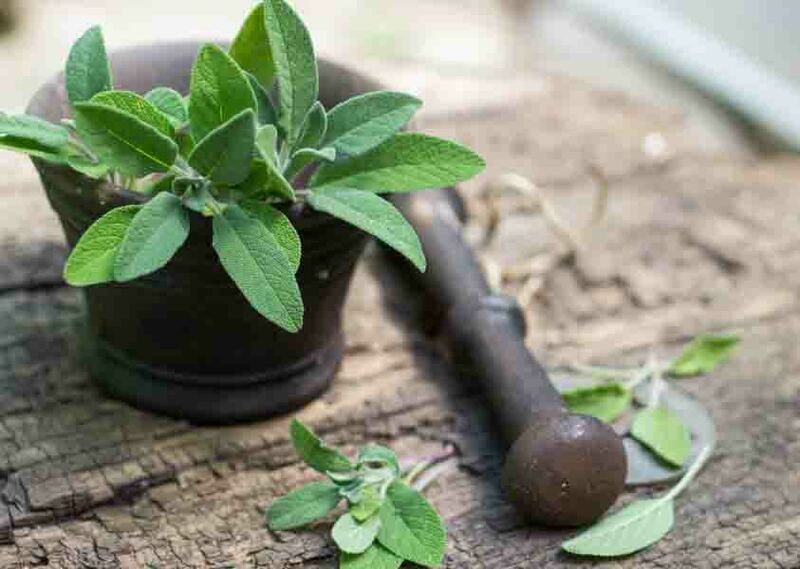 If you’re looking for a mild essential oil to use near the eyes, clary sage is the one for you. 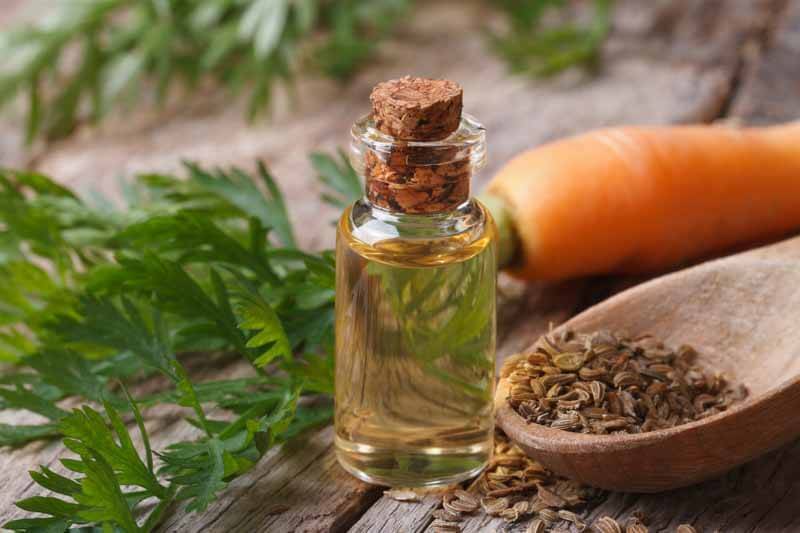 Carrot seed essential oil offers antioxidant protection as well as encouragement of the skin to renew itself faster. It is ideal for skin that has been stressed by the environment. Carrot seed essential oil has been proven to boost the effectiveness of commercial skin care products too. With a rich, earthy aroma, carrot seed essential oil is another oil that’s perfect for the gentleman’s medicine chest. Myrrh essential oil provides a wealth of benefits to the skin. It works as an antioxidant, fighting cellular damage, and also as an anti-inflammatory, which makes it ideal for the sensitive and irritated skin. Myrrh essential oil also has antibacterial properties, making it perfect for those menopausal acne breakouts, yet it is gentle enough to use in eye creams and serums. 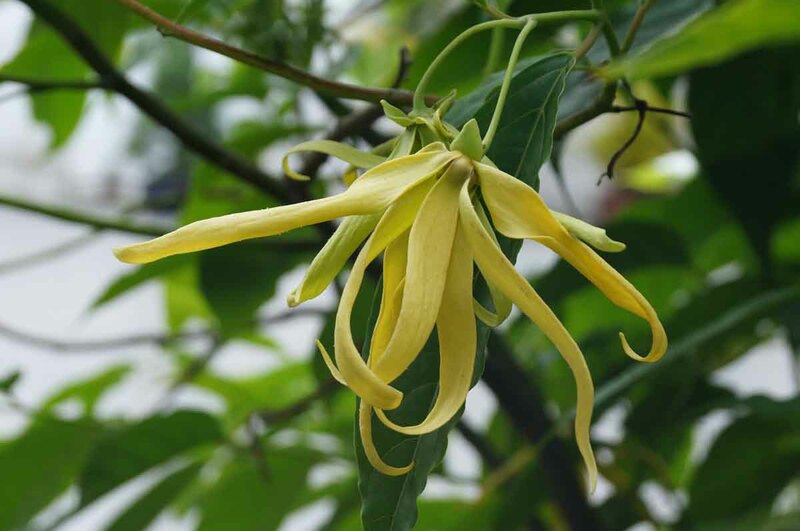 Ylang ylang essential oil improves the skin’s elasticity by helping cells regenerate faster. Its prime use in skin care preparations is to smooth fine lines and wrinkles while adding a floral note to body lotions and bath products that also fight aging of the skin. Lavender, that workhorse of the essential oil world, is also a fantastic moisturizer. Additionally, it increases blood flow to the skin, allowing nutrients and oxygen to reach skin cells for renewal and healing. You can use lavender safely in virtually any type of skin care recipe. Patchouli works against undesirable bacteria, fungi, and yeast, so it is another essential oil to consider if you’re having problems with blemishes or acne. As an anti-inflammatory, patchouli essential oil is gentle on sensitive skin. 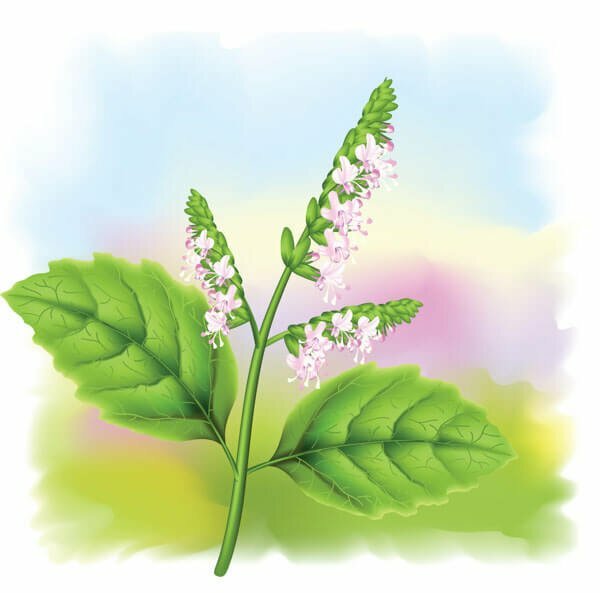 A unique benefit of patchouli essential oil is that it improves the skin’s density, making it look and feel plumper and younger. 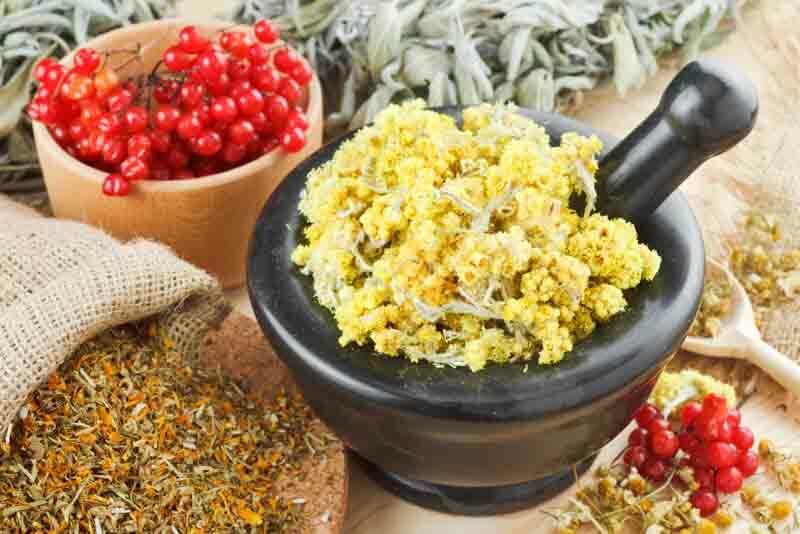 Also known as “Everlasting” and “Immortal Flower,” it’s easy to see how helichrysum essential oil got its nicknames by being a top rejuvenator of aging skin. This essential oil helps diminish age spots and wrinkles by promoting faster turnover of skin cells. It also reduces the appearance and texture of scars and stretch marks. While helichrysum essential oil is ideal for full-body products and massage oils, it is soothing even to the delicate skin of the face–perfect if you’ve had a little too much exfoliation or a recent chemical peel. Add all the ingredients above to a 2-oz. Glass bottle with a narrow top (an apothecary bottle is perfect). Cap and roll the bottle between the palms to mix the ingredients. Use a few drops of the serum every night before bed, either on the entire face or on spots where signs of aging appear. Apply with the fingertips, taking care not to pull too hard on the skin, and dab it in place. Allow the heat of the body to distribute the serum across the surface of the skin. Mix all the ingredients in a small glass bottle. Cap and roll between the palms to blend the ingredients. Apply around the eye area by gently dabbing a few drops and massaging with the pinky fingertips. Be careful not to let this serum get too close to the eyes. Mix all the ingredients above in a medium-size glass bottle. Roll between the palms before each use to blend the ingredients thoroughly. Mix all the ingredients above, using just enough water to form a paste. Apply to the face in areas experiencing signs of aging. Allow sitting for 30 minutes before rinsing with cool water. Use 2-3 times per week for improved skin cell renewal. Heat the shea butter and coconut oil in a double boiler over medium heat until melted. Add the sweet almond oil and the essential oils, blending well by hand. Allow the mixture to cool for about 20 minutes. Beat with a hand mixer once cooled until fluffy. Transfer to a small mason jar or recycled cosmetic container. Mix the ingredients above together in a small bowl until completely blended. Store in a glass jar or small cosmetic tub. Apply to the face after cleansing or shaving to moisturize and refresh the skin. Combine the honey and baking soda to form a paste. Place a warm towel or washcloth over your face to open the pores. Apply the face scrub gently, using small circular motions to work it over the skin. Massage the surface with the scrub for about 3-5 minutes. Follow up with a rosewater rinse to balance the skin’s pH. Use this scrub once or twice per week. Whip the coconut oil for about 5 minutes with an electric mixer until it’s light and fluffy. Add the essential oils and whip again to blend. Store in a small mason jar or recycled container with a tight lid. Use as needed daily to moisturize dry skin on the face and body. Add the beeswax, coconut oil, jojoba oil, shea butter, and vitamin E oil to a double boiler. Warm them under low heat until fully melted. Set aside to allow the oils to cool to room temperature. 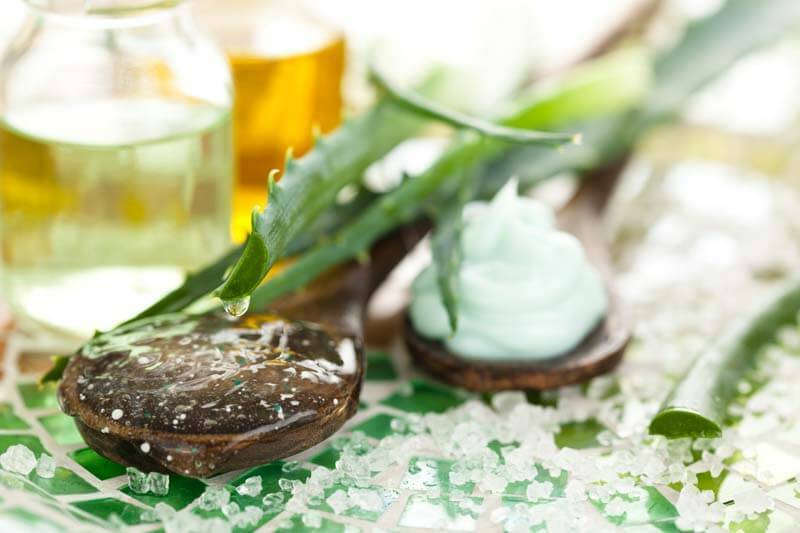 In a separate bowl, whisk the rosewater and aloe vera gel together. Pour the oil and wax mixture into a blender or food processor, once it has reached room temperature. Blend on medium speed and slowly add the aloe vera and rosewater mixture while blending. Blend until an emulsion is reached (about 5-10 minutes). The mixture should look like a thick white cream. Transfer the lotion to the container of your choice. Add the essential oils, mixing well. Apply the lotion after a shower or bath to keep the skin moist and protected. Since you will be likely using these essential oils on your face and around your eyes, make sure to always dilute them with a carrier oil (see below) first. A good rule of thumb when making your skin care preparations if you don’t have a recipe is to use a dilution ratio of about 12 drops of essential oil for every ounce (about 30 ml) of carrier oil. Jojoba oil is an excellent moisturizer. It is one of the best carrier oils for treating fine lines, so it’s ideal for eye creams and serums. Apricot kernel oil is high in omega-6 fatty acids and vitamin A, meaning it works as both a moisturizer and an antioxidant. It’s also perfect for softening rough skin. This oil is gentle enough for an infant, so it’s a good go-to for delicate or sensitive skin. Avocado oil is one of the more moisturizing carrier oils. Also high in vitamins (especially vitamin E) and fatty acids, it is ideal for protecting the skin from the sun and environmental damage. Easily absorbed by the skin, avocado oil helps restore elasticity while minimizing wrinkles. Grapeseed oil is high in lipids needed by skin cell membranes, as well as in phenol and fatty acids. Furthermore, it contains tons of vitamin E and proanthocyanidins, which are antioxidants that fight toxins and bind to collagen for skin renewal. Sweet almond oil is a classic massage oil base, which makes it wonderful for bath and body products. High in oleic and linoleic essential fatty acids, sweet almond oil penetrates the layers of the skin and assists with skin restructuring. Rosehip seed oil has been well studied clinically. It reduces the appearance and feel of scars, age spots, and wrinkles. Rosehip seed oil is high in both essential fatty acids and beta-carotene, so it also protects and moisturizes the skin. Evening primrose oil can helps you increase the firmness of your skin, thereby giving it more youthful plumpness. High in gamma-linoleic acid (an omega-6 fatty acid), this carrier oil moisturizes and rejuvenates the skin and is easy to find in capsule form at natural and health food stores. If you’re concerned about the effects of aging on your skin, you’re probably taking care to limit your sun exposure. However, know that using citrus-based essential oils can cause sun sensitivity if applied too soon before going out in the sun. To be safe, use products containing citrus-based essential oils at night or about 12 hours before sun exposure. Some essential oils can cause sensitivity reactions in users even without sun exposure. If you’ve never used an essential oil before or have had sensitivity problems in the past, always do a patch test on a small area of skin before using the oil on your entire face or body. Even though all the essential oils mentioned above are okay to use on your face, you want to be particularly careful around your eyes. Even mild oils can blur your vision, smear your eye makeup, and make your face appear oily if applied too heavily. A trick you can try is to dab the essential oil concoction around the periphery of your eye area and let it naturally migrate towards the eye, instead of applying it too close to the lash line. Give thought to changing your skin cleansing routine if you have been locked into the same regimen for many years. What worked 10 or 20 years ago to wash your face may now be stripping it of vital moisture and antagonizing more fragile skin. As you age, you probably only want to cleanse your skin once or twice per day, and you can ease up on rough scrubs in favor of oil-based cleansers. 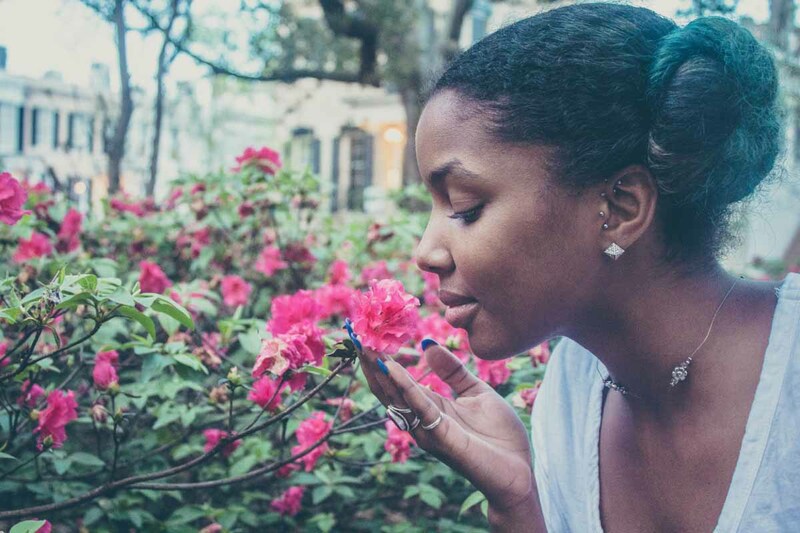 Don’t feel obligated to use an essential oil skin treatment on your entire face or body; spot treatments are excellent, especially if you have combination skin. The great thing about making your skin care products is you can make one recipe for oilier areas and another for locations that need more deep moisturizing or wrinkle reduction. Another benefit to DIY essential oil recipes for anti-aging is that you can vary the delivery system to suit your personal needs. Have fun playing with different formulas, including creams, lotions, salves, balms, serums, mists, body washes, soaps, and steam baths. No time to make a full recipe? Simply add a few drops of essential oils to your bath water, or use them to supplement your current skin care regimen. 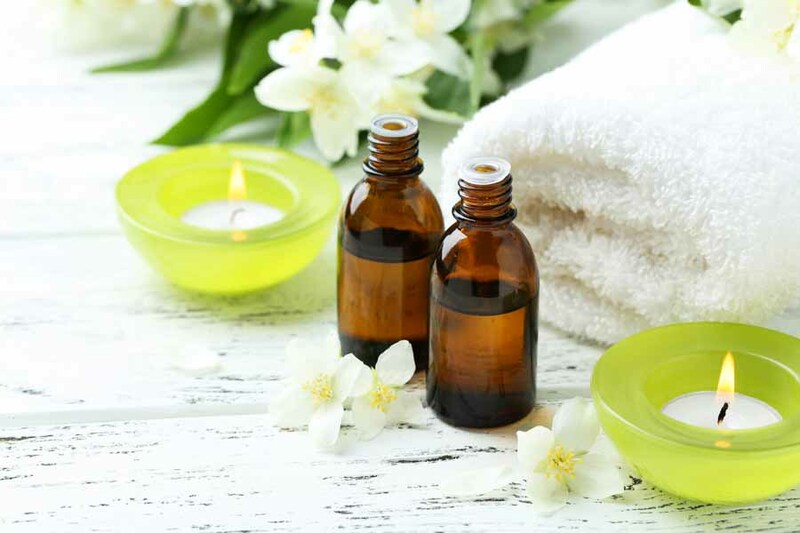 You can add essential oils to commercial preparations or a carrier oil and apply them with a cotton swab. 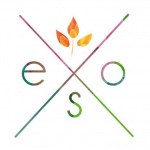 Does it matter how many essential oils you mix together? Thank you for this wealth of information. I’m brand new to making my own skin care products. Your article sang the praises of each oil. I’m really looking forward to enjoyimg these recipes. Can you add oils to a regular moisturizing cream? I have just finished reading your article, and I am overwhelmed by its wonderfulness. I could not just read it and pass by without leaving a trace. I would like to thank you for providing me with information that I need tremendously. A friend of mine told me about essential oils and how they heal wrinkles. I did not believe him and searched on my own; your article had my curiosity fulfilled, and I thank you for that. Being the dedicated researcher I am, I did not stop at your article and went on and kept on looking. I found that you have missed one of the most important anti-aging essential oils, and that is Jojoba oil. Having vitamin B and E, and many other ingredients that give it super healing powers. 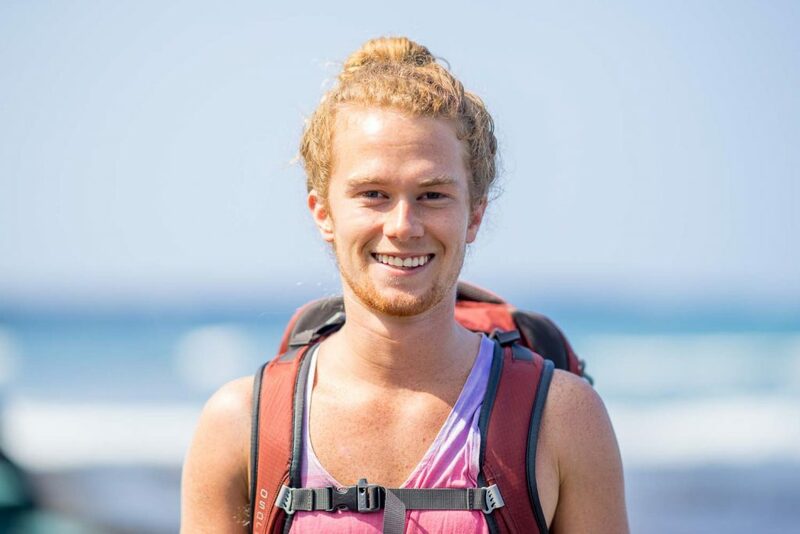 Nonetheless, thank you for your efforts and helping me learn about these incredible healing items. So many oils I just want to know which ones do i use for aging skin wrinkles and lines and sagging skin and under eye darkness and bags please tell me which so I can purchase the right ones . I didn’t see a recipe using helichrysum. Does anyone have one they use?